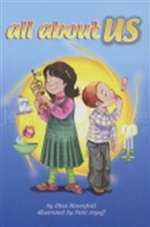 A preschool child's book about the parts of the body from a Jewish point of view. It's fun to explore the mitzvos that every child can do... from head to toe! Copyright© And Thou Shalt Read. All Rights Reserved.